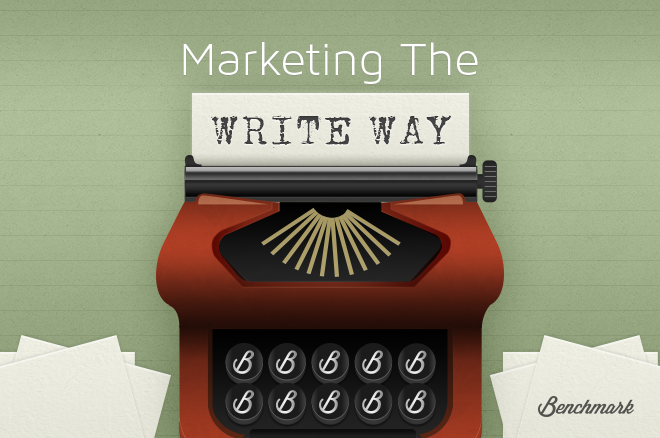 Retweet this or any post in our Blogging: Marketing the Write Way series to win a Nexus 7 tablet. In technology there is a term called "Moore's Law" that has been around for over forty years. Originally it was an observation on micro chip performance or more specifically how the performance of micro chips doubled every 18 months. Moore's Law has been more recently associated with tech gadgets such as laptops, mobile phones and digital cameras to name a few. These also fall under Moore's Law doubling in speed or performance every 18 months. So what has this got to do with blog promotion? In the seven years I have been blogging there has been a Moore's Law of sorts in how we successfully promote our blogs. While the "Moore's Law In Blogging" is not related to speed, it's rather a look at how the entire focus on blog promotion changes within a similar time period. It's so important to stay up to date with these latest changes in the ways we promote our blogs and look out for the newest techniques. Below we look at the three most popular blog promotion techniques and how they are affected by Moore's Law. The original Google algorithm that involved using links to determine page rank now takes over 200 signals into account to rank web pages. So while we were all out on the web trying to build links by any means possible 'Moore's Law' kicked in and much of our work was just wasted time. Now quality rather than quantity is key in building links. The last 18 months has seen big changes in SEO namely the two algorithm changes Google implemented Penguin and Panda. The Penguin and Panda changes are Goggles attempt to remove low quality and scraped/copied content from their search results. They also look for unnatural or paid links in your content and even take into consideration the quality of sites that link back to your content. Google have also started to use social signals in their algorithm over the last 18 months. So Moore's Law really does fit when explaining SEO, who knows what changes Google will make in the next 18 months. As a blogger it is vital to keep your self up to date with the latest SEO news. When I first started blogging Myspace was the main social network while in Europe Bebo was growing from strength to strenght. I spent a lot of time building my profile on these sites and using them to drive traffic to my blog. The emergence of Facebook absolutely crushed MySpace and Bebo, while MySpace is undergoing some rejuvenation Bebo took a fatal blow and not far from shut down. You see, while it is impossible to see Facebook undergo a similar fate we just never know what can happen in the Moore's Law timescale. Google+ now has over 500 million users so who's to say they wont find the vital ingredient that draws users from Facebook to G+ ? If this were to happen those who use Facebook as a main source of traffic would suffer. Social media has changed so much within our Moore's law time period, Pinterest came from nowhere to be the fastest growing social network in history. Nobody could have seen that coming and while in nature it is too different to Facebook or Twitter to challenge those if you got on board Early you could have taken advantage and seen a huge spike in traffic to your blog. Writing Guest posts for reputable sites like I'm doing here really has become a fantastic way for Bloggers to grow their own reputation. The first time I became aware of Guest posting was on ProBlogger and after opening up my own site to guest authors I have seen the practice grow at an unbelievable rate. In the last 18 months we have seen changes to guest posting both positive and negative. More and more sites have opened up the guest authors giving newbies the chance to get their work and blog in from of more eyes. So no matter what niche your blog belongs to you have the opportunity to write for a major site. On the negative side this has also attracted spammers and those accepting guest posts have to be more careful. For every high quality Guest Post submission in my experience there are twenty low quality posts. So I think we can agree there is a Moore's Law in blogging and in order to continue growing your blog you need to be able to change with the times. The Art Of Guest Blogging: How To Hit It Right With A Strategy? I enjoyed reading this article. The SEO information was really informative. I have to admit, all of these changes with Google has really confused me. Things have changed so much within a year that I have no idea how Google really sees my blog. Oh well, guess the best thing to do is just write those quality articles and hope for the best. Apart from that we can participate in online forums. Join forums related to our blog topic and become an active, contributing member. Include a link to our blog in our forum signature, so it's always available to other members.